Since Michael Jackson's untimely death in June of 2009, speculation has run rampant about the music he left behind. How much is there? How finished are the songs? What is the quality of the material? And how and when will it be released? A notorious perfectionist, Jackson always over-recorded. There are at least one hundred songs over the course of his solo career that did not make it onto his major albums. Some of those have already appeared on special editions and collections; others have leaked online in various forms; and many others have never been heard. At midnight on November 8th, MichaelJackson.com streamed the first official song from the archives (excluding the early-Eighties demo, "This Is It," which was included as part of the companion album to the film of the same name). Even before its release, however, controversy surrounded "Breaking News" and the other so-called "Cascio tracks." The conversation has only intensified since then. Predictably, little of that conversation has been about the content of the new track: the exceptionally ominous strings in the intro, its "Off the Wall"-esque chorus, or its signature Jackson indictment of a media that feeds on "breaking news" (read: scandals) with obsessive compulsion ("No matter what/ You just want to read it again"). Nor has much attention been given to the work of talented producer and longtime-Jackson friend, Teddy Riley, who gives the song a fresh but faithful sheen. The irony, of course, is this is how Jackson's music has been received for decades, the substance overlooked in favor of sensationalism and distracting controversy. Yet part of it would no doubt bring a knowing smile to the man who once claimed he wanted to make his whole life "the greatest show on earth." Long before Lady Gaga, Michael Jackson was engaging artistically with both the monstrosity and allure of fame. 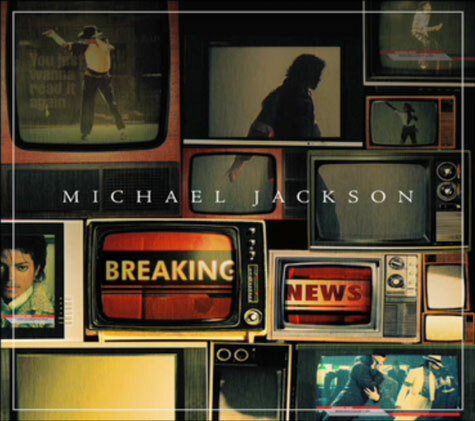 In "Breaking News," Jackson not only delivers his message, but anticipates the way it will be received. In one verse, he lashes out at those anxious to "write his obituary." In the chorus, he asks his listening audience, as he did throughout his career, who they project him to be: Is he the "boogieman" (a constructed monstrous figure) we're thinking of? Beyond the Cascios, several people close to Jackson were familiar with his work in New Jersey. He mentioned to these people that he was "excited" about the work he and the Cascios had generated. According to Jackson's longtime friend and manager, Frank Dileo, Jackson planned to have recording equipment brought to London during his 02 concert series so he could finalize some of his latest music. The first of the Cascio tracks to be heard -- "Breaking News" -- obviously isn't a perfect realization of Jackson's abilities. Receiving the most critical attention are Jackson's vocals, the veracity of which even some family and fans are questioning. There are understandable reasons for this. This certainly isn't a "typical" Jackson recording: there weren't extensive warm ups with longtime vocal coach Seth Riggs, no layering and polishing by Jackson himself, no Bruce Swedien and world-class studio technology to capture the original vocal. This was a guide demo, supplemented by the supporting vocals of James Porte (for which he is credited), and produced nearly four years later by Teddy Riley. Riley, who first began working with Jackson in the early Nineties, found it emotionally difficult to complete the unfinished work of his late friend. To tap into his inspiration, Riley had photographer Harrison Funk surround him with pictures of the singer. "That was the only thing to keep me sane, and not go crazy while I'm working," said Riley. "Because, you know, it would come out on the music if you hear me banging on the keyboards with tears coming out of my eyes." Perhaps just as important, the Estate had passed on numerous deals, selecting only a handful of projects it felt were worthy of Jackson's name. Risking the substantial credibility it had established amongst both fans and critics for a handful of questionable tracks would have been reckless at best (for Sony as well, who had invested over $200 million dollars on the singer's posthumous projects).